The Sargfabrik, a transformed former coffin factory has been one of the most important adaptive reuse projects with an innovative housing aim. 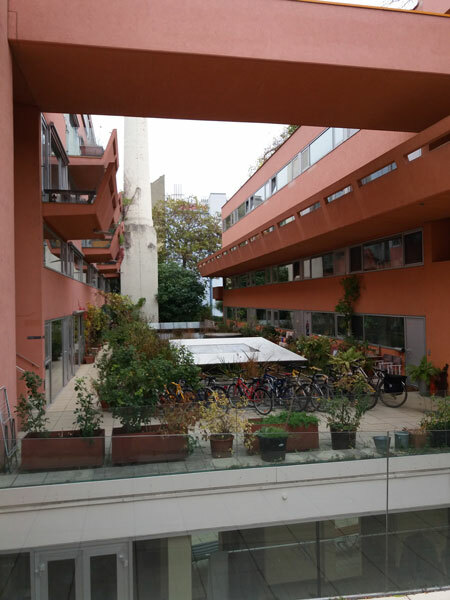 It’s a combined co-housing and social housing project, which was realized following a strong citizen-led campaign with the support of the Viennese municipality. The transformation took place in two stages. Today the building complex serves both as a community housing integrating people with different lifestyles, ages and social backgrounds and as an important recreational center open to the public. Its operation serves financial, environmental and social sustainability goals, while also representing an innovative experiment among subsidized housing initiatives.